Z-Man's Weedless Finesse ShroomZ jigheads features an adjustable, dual multi-strand wire weed guard which provides increased snag resistance. When pairing this jighead with Z-Man's TRD's you will create the perfect Ned Rig. 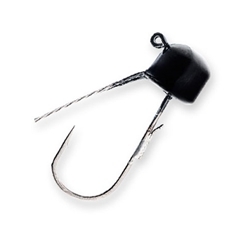 The welded wire keeper prevents baits from sliding down the hook shank and makes rigging quick and easy!